DESCRIPTION: The test has 60 self-rating items, rated on a 5-point, true-false rating scale. These items form 5 scales measuring: Neuroticism, Extraversion, Openness to Experience, Agreeableness, and Conscientiousness. RELIABILITY: Generally satisfactory internal consistency, lower for Openness and Agreeableness than for the remaining scales. VALIDITY: Confirmed in studies of the relationship between test scores and observer ratings, heritability of the measured traits and their correlations with other dimensions of personality and temperament; factor validity has also been tested. NORMS: Standard ten norms for 5 age groups (15-19, 20-29, 30-39, 40-49, and 50-80), developed separately for men and women on a sample of N=2 041. APPLICATIONS: The results provide a complete description of personality and allow for cautions (due to insufficient reliability of some of the scales) prognosis of the capacity to adapt to the academic or occupational environment; the authors of the adaptation particularly recommend the test for research purposes. Note! 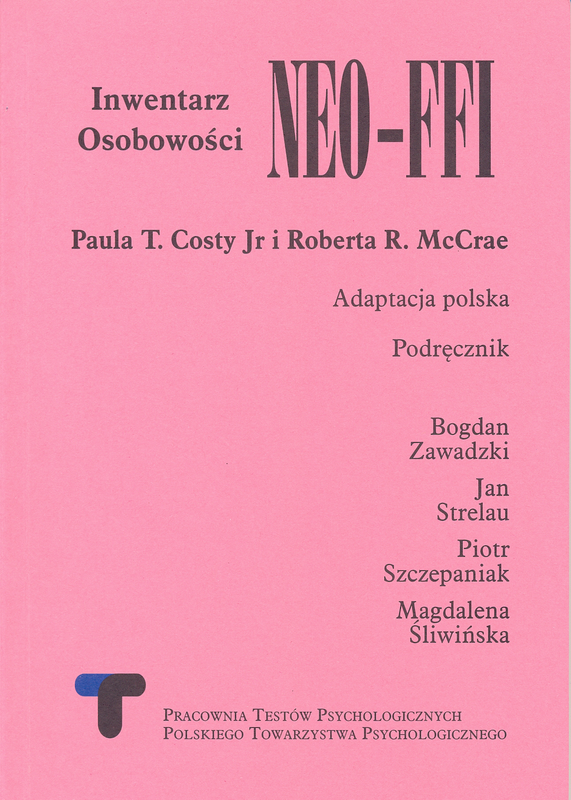 There is also a NEO-FFI PERSONALITY INVENTORY Computerised version and a program to calculate the results (PSI-TEST).